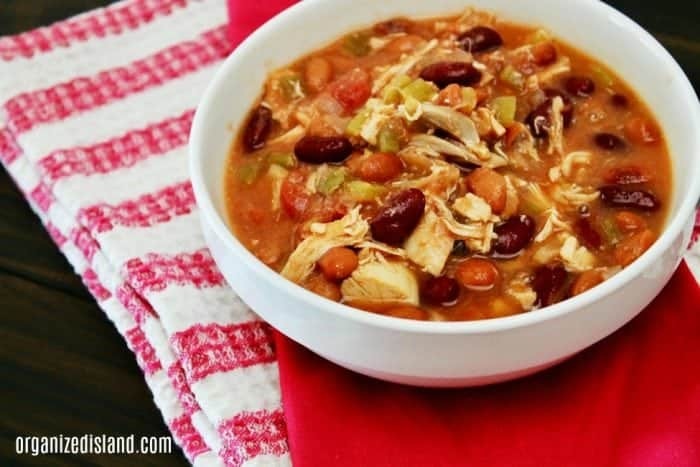 This Super easy and slightly spicy Chicken Chili Recipe is filling, comforting and zero points on Weight Watcher’s Freestyle Program. Hello Friends! I hope you had a wonderful weekend. This one went especially fast, maybe because we had long weekend last week or maybe it was because my husband left on Sunday for a business trip. We did manage to see the Black Panther movie this weekend and I loved it. Lots of action, suspense and even a little bit of a love story. The special effects were really good too and I can see why it got a 97% on Rotton Tomatoes. 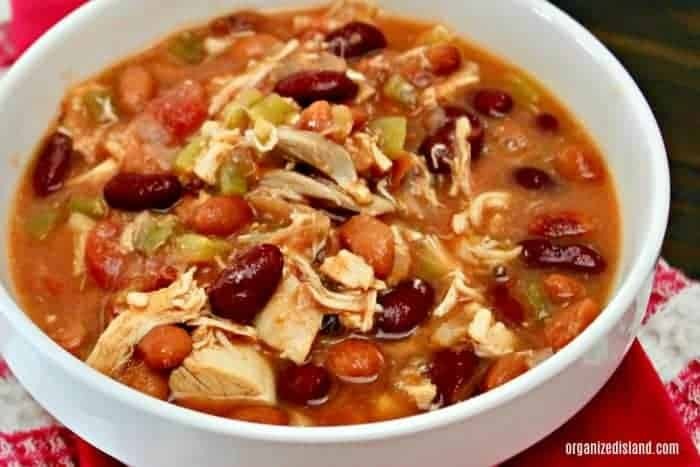 Since it was chilly this weekend, I decided to make some Chicken Chili. 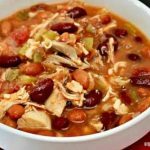 I honestly make this chili a little different from time to time, and this is my slightly spicy version (especially good on a cold evening). It is also zero points on the new weight watcher system (until you top it with cheese). 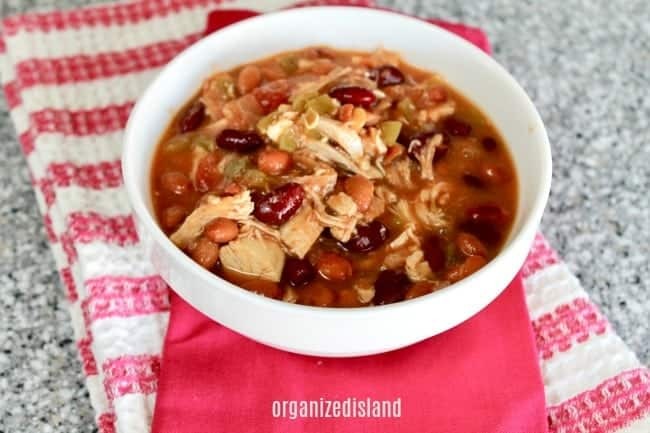 Either way, it makes for an easy chicken chili recipe that comes together in one pot. 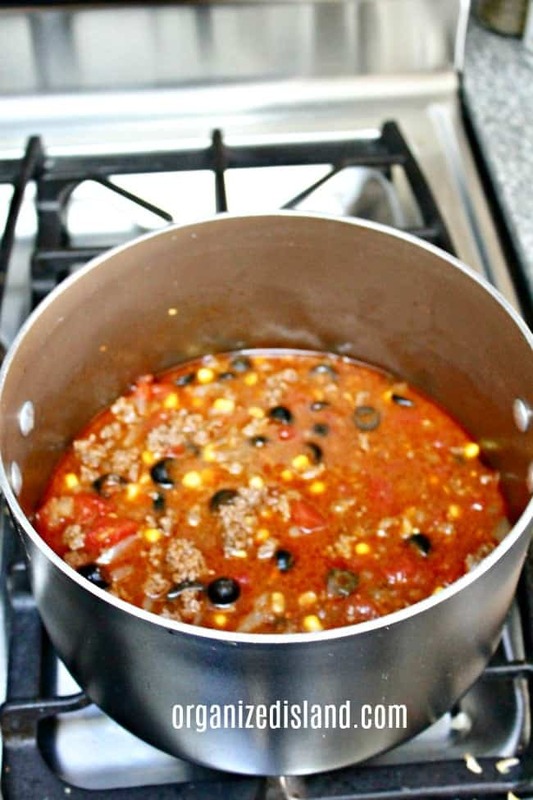 The smell of the chili cooking is just all kinds of comfort. It is also perfect for a sports viewing or tailgating party! 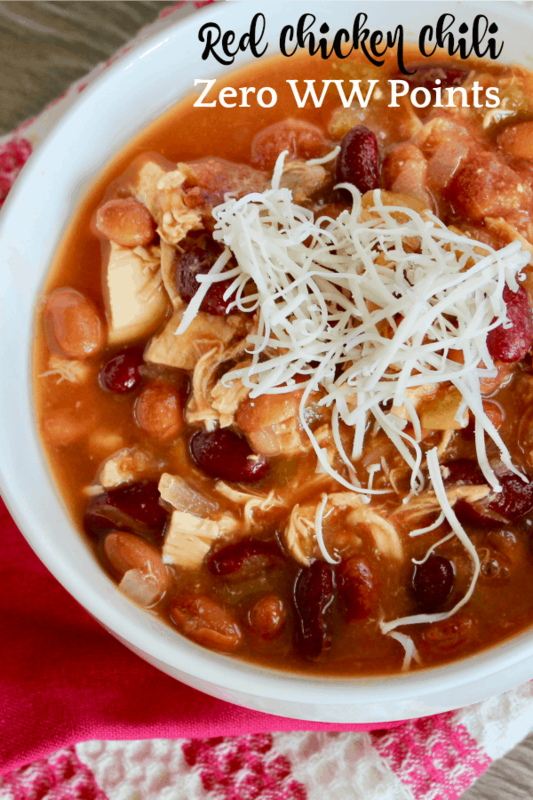 Be sure to check out our Zero Points White Bean Chili recipe too. It is really not all that spicy, in case you are wondering. Just enough to add a little heat. I hope you enjoyed this easy recipe idea! We strive to be your resource for easy recipes and tips to make the most of your time. Individual Chicken Pot Pies – perfect for warming up when needed. 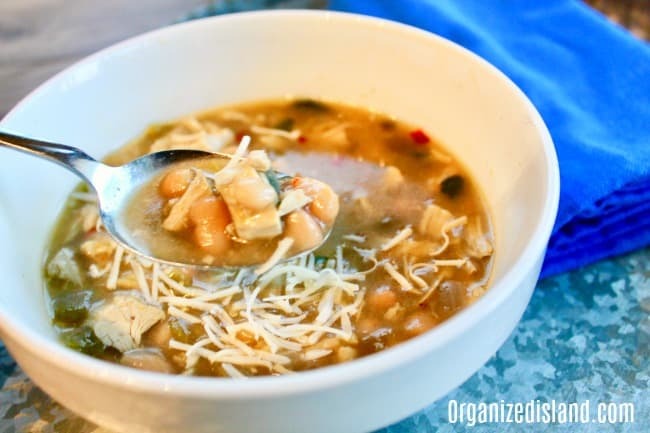 Chicken Chili soup – A light version with Northern beans and green chili. One Pot Beef Pasta – Beef and Pasta come together in this easy stovetop recipe. Combine all ingredients in a pot on the stove over medium-high heat. Reduce heat and simmer 20 minutes (covered )over medium-low heat. Subscribe to receive a weekly newsletter with easy recipes, tips and special bonuses! ZERO?! Weight Watchers is amazing. I have two family members in it and they can’t say enough good things. Can you please tell me how many calories per serving? Thank you! Looks like a very tasty recipe and zero WW points too! win/win! Thank you and yes for sure! I will have to try it as I am trying on my own to lose weight. Looks very good! Would be perfect for a cool day.